Chives, Lettuce, Leek, Onion, Onions, Rosemary, Peas, Sage and Tomato. Sow direct into soil. Best not sown during heavy frost. 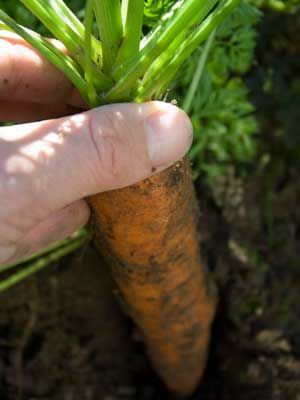 Slugs love young carrot seedlings so protect early started plants. Thin out when the seedlings are large enough to handle if they are too close. Weed carefully during early stages.